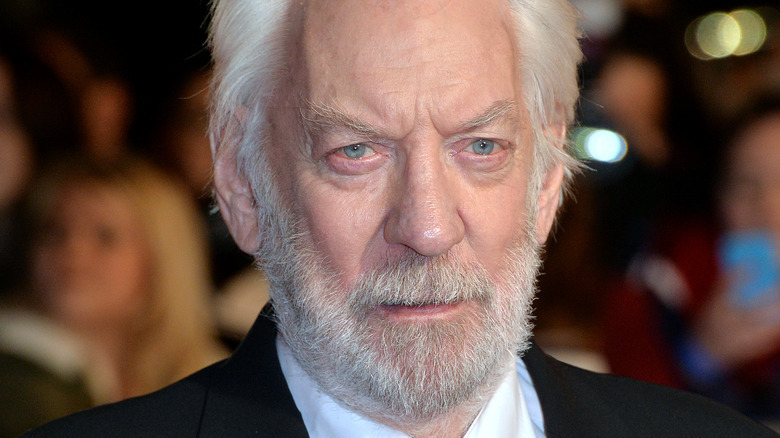 Donald Sutherland will be heading into space with Brad Pitt. According to The Hollywood Reporter, the veteran actor has joined Pitt in the upcoming sci-fi flick Ad Astra, which is set to be directed by The Lost City of Z's James Gray. Ad Astra, which is based on a screenplay Gray co-wrote with Ethan Gross (Fringe), follows Pitt as a slightly autistic engineer who goes on a journey across a long and unforgiving solar system to find his missing father (Tommy Lee Jones), a renegade scientist who disappeared on a mission to find alien life on Neptune and who now poses a threat to all mankind. Ruth Negga is also set to star in the film, although there's no word on who she or Sutherland will play. Sutherland is a two-time Golden Globe winner for his appearances in Citizen X and Path to War. He also holds five additional nominations, along with an Emmy nomination for Human Trafficking and a win for Citizen X. He played the villainous President Snow in the Hunger Games film series and is also known for MASH, The Italian Job, Pride and Prejudice, Invasion of the Body Snatchers, Cold Mountain, Space Cowboys, and Aurora Borealis. He is next set to play J. Paul Getty in the miniseries Trust.